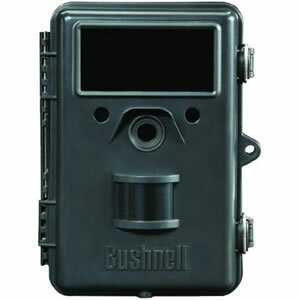 Bushnell 8MP HD Trophy Cam Black LED Night Vision with Field Scan puts you in pursuit of the most sought after game in your favorite hunting areas. Building upon the unbelievable level of craftsman ship that Bushnell Trail Cameras are known for, the Trophy Cam Black LED from Bushnell features low-glow black LED nightvision flash which makes your trail camera virtually undetectable in the dark. The Bushnell Black LED Trophy Cam capture HD video of your hunting grounds to track animals in crystal clear quality. This HD trail camera will allow you to plan exactly when and where you can land your next big trophy. 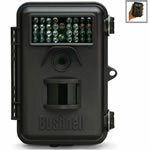 Bushnell Trophy Black LED Trail Cam features Field Scan Mode, a time-lapse technology that you can set to snap images automatically at preset intervals of one minute to one hour, within the hours of your choice. 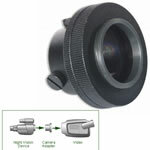 Black LED Trophy Cam has field scan integrated in it, so you can use your trail cam for long-range observation of your hunting grounds in a much larger coverage area since you it is not triggered by game like a standard trail camera. 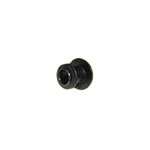 Night Vision Flash: 40 Black LED, 45 ft. Programmable trigger interval:1 sec. to 60 min. 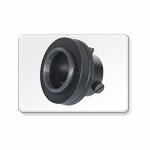 Temperature range -5 degree F to 140 degree F PIR sensor is motion activated out to 45 ft.